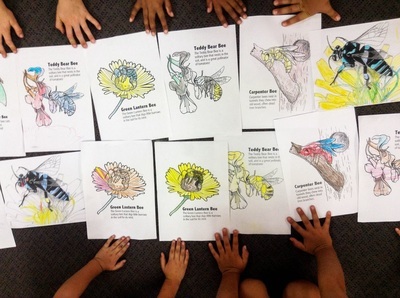 ​We run fun, interactive and educational native bee workshops for kindergarten / preschool, primary and high school classes. All workshops are taught by Dr Toby Smith, a professional bee scientist and educator. Our workshops are age-appropriately tailored to the class, and are structured around the main aim of conveying an understanding of bee diversity, bee lifecycles, and the role of bees in pollination and food security. Workshops are tailored to your needs and usually include fun and engaging presentations of dozens of brilliant close up photos and diagrams of bees, installations of live native stingless bee hives, live displays of stingless bee keeping, honey harvesting from stingless bee hives, and more. Throughout all our sessions students are encouraged to ask questions, and all the way through the presentations are completely interactive. Contact us for an information package today. "Toby captured and maintained the interest of all participants throughout his presentation. Toby has the happy knack of reading his audience perfectly and pitching his delivery to reach all participants. He generously shares his expert knowledge and passion for bees with infectious enthusiasm." "We can’t thank Toby enough for today - he was incredible! Toby's passion is inspirational and he is an extremely effective communicator. The students were very engaged with Toby, more than I’ve seen them be with guest speakers before. It was excellent and lots of people have commented to me today about how awesome Toby's workshop was." "The kids had a great time and the educators were blown away with Toby's extensive bee expertise." 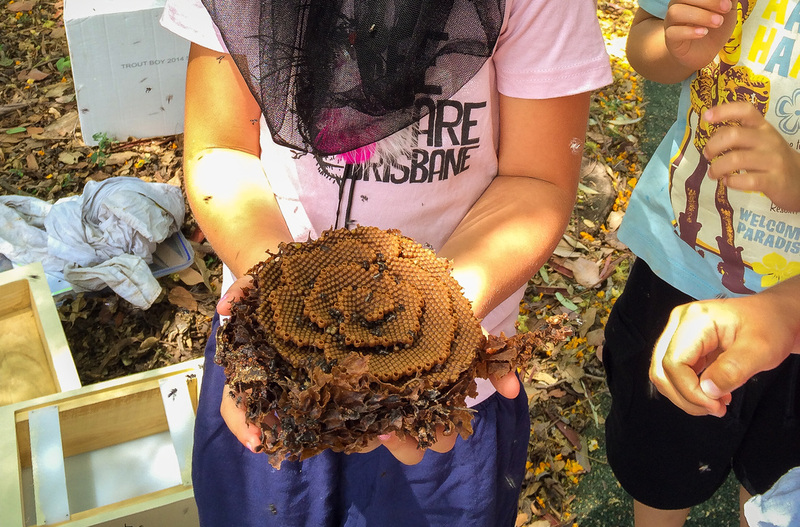 "Toby's visits with Bee Aware Kids to Yeronga Park Kindy have become a much anticipated annual occurrence. The children and also the staff gain valuable knowledge in the keeping of our native beehives and Toby's interactions with the children are engaging, fun, and interactive. 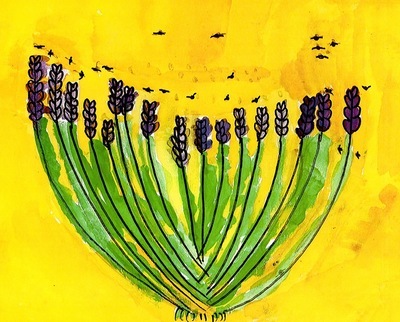 The information shared about the importance of bees in our world is taken on board and shared with families well after the visit - even the art and stories the children tell have started to include bees and the foods they allow us to enjoy. We have fondly taken on Toby's "Tickle Bee" name for our native bees and we look forward to splitting our hives again to inspect them later this year." "Toby's bee program was absolutely perfect for Kindy children - he was interactive, funny, responsive, and caring. 'The bee man' made a big impression and was adored by all the kids. Toby's program is perfect for any unit about farming, science, animals, or Australia." "WOW the bee talk was great, Toby was so engaging and all the adults present found it fascinating too. We look forward to seeing him next year to follow up on our hives." "We really enjoyed the bee talk and were impressed with Toby's ability to engage with our age group in a way they understood." "After visiting our school a number of times, Toby's visits are now eagerly anticipated. Toby is always well prepared, uses hands-on materials that are highly interesting, and has a lovely manner with the students. Toby has shared a wealth of information about bees and the students always enjoy his sessions. His digital presentation is lots of fun too. I would highly recommend that your school invite Toby to present his valuable and informative lesson which both teachers and students will find enlightening and enjoyable." 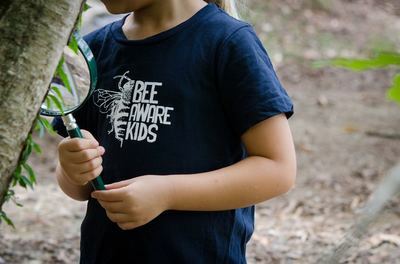 Bee Aware Kids is owned and operated by Dr Tobias (Toby) Smith. Toby is a native bee researcher and commercial native bee keeper with a passion for community engagement and science communication. Since 2013 Toby has been running native bee workshops in schools, driven by a passion to promote an awareness of native bees, pollination, and the importance of biodiversity. Toby has extensive experience teaching children and adults of a range of ages, from Kindergarten to University and adult education. In addition to teaching children, Toby has 11 years of experience teaching University students. Toby's research background is in understanding native bee communities in agricultural landscapes, the use of native bees in crop pollination, and native bee biology and ecology. When not running bee workshops with kids, Toby's work time is divided among native bee keeping, teaching beekeeping to adults, university teaching, and bee and pollination research. 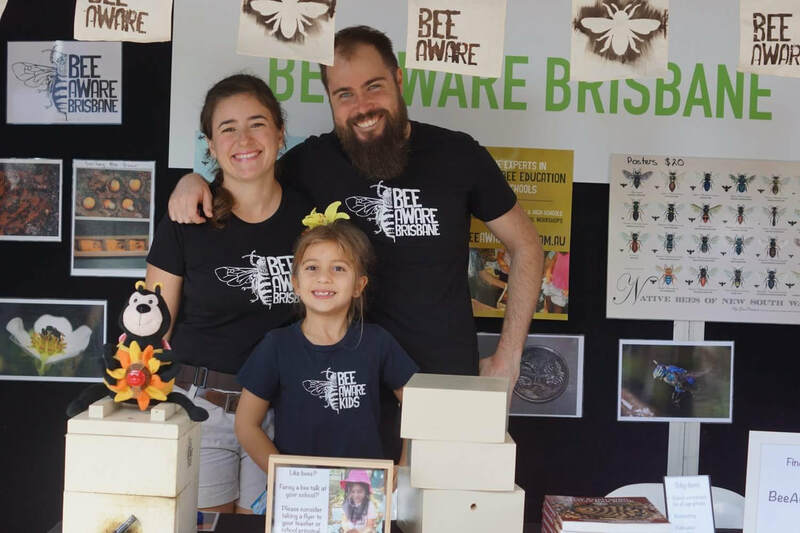 Toby is also the founder and director of Bee Aware Brisbane. 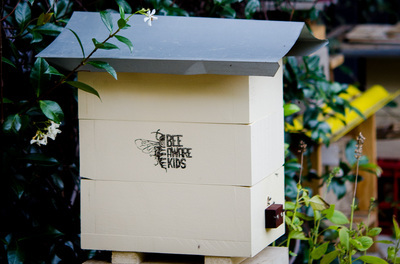 We sell hives - At Bee Aware Kids we keep, propagate and sell hives of native stingless bees. They really are stingless, and are a safe and easy compliment to any school. We sell hives of stingless bees to schools, and these can be delivered and installed in conjunction with one of our native bee school workshops (we also offer workshops without the purchase of hives, and hives sales without workshops). Toby is an experienced stingless bee keeper, who in addition to educating children, also works as a commercial beekeeper and beekeeping workshop presenter. We sell hives of native stingless bees for $550. Our hives are made to the stingless bee industry standard honey OATH design, and are suitable for both future honey harvesting and hive split propagation. The hive boxes are professionally made, and the bee colonies inside are strong. In the unlikely event that the colony of bees you buy doesn't survive, we offer a 12 month guarantee. For more information about the hives that we sell, please contact us. We service hives - In addition to presenting workshops at schools and selling native stingless bee hives, we also offer bee keeping services to schools who already have native stingless bee hives. We can visit your school and help split or harvest honey from your existing hive/s in front of the children, explaining and answering questions throughout. A common workshop style is an indoor interactive presentation leading up to an outdoor stingless bee hive split or honey extraction. We also offer services outside of schools. We are urban bee farmers - We grow our bees in urban gardens around Brisbane and the Gold Coast, and in town gardens in parts of northern NSW. It might seem strange, but recent research has demonstrated that hives of native stingless bees actually perform much better in urban gardens than in the bush or on farms. Why? 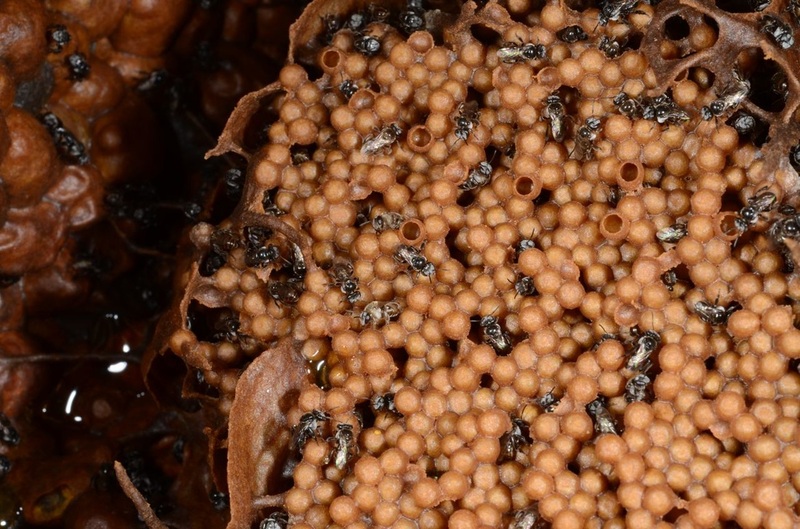 Because in urban environments there are generally more regular, and more diverse, sources of food for stingless bees. 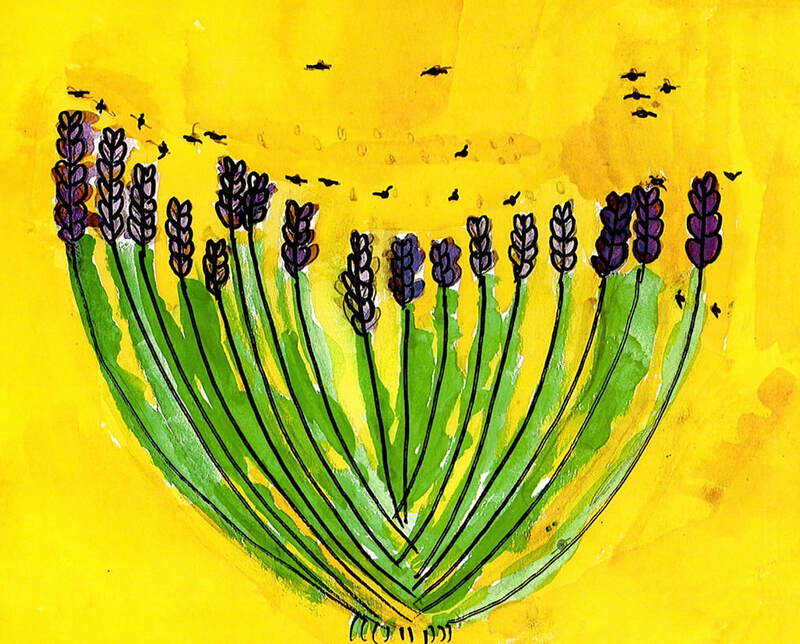 Bees need flowers, and in our gardens we humans have actually done quite a good job of planting lots of different types of plants, with prolific flowering in mind, and we also water our gardens even in times of drought. Some beekeepers like to say that it is spring all year round in the suburbs. While not all native bee species will visit the flowers of common garden plants, stingless bees are generalists and will eat the pollen and nectar from a wide range of plant species. ​As a business our greatest impact on the planet comes as a result of all the driving we do to travel to and from schools, and to visit our bee hives. While we try to minimise our negative impact on the planet, we acknowledge that in doing what we do we do have an impact. Carbon pollution is changing our climate, and this and other human activities are causing biodiversity declines. 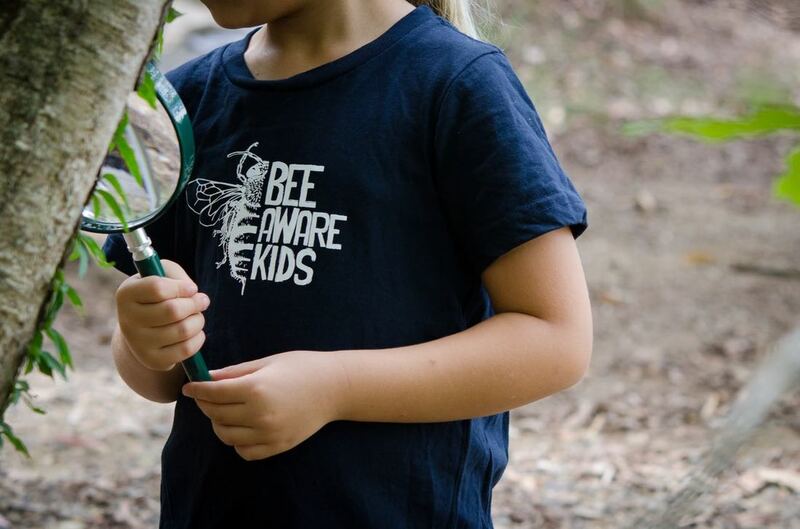 As an attempt to offset the environmental impact of driving our car for Bee Aware Kids, we make quarterly donations each year to Bush Heritage Australia. Bush Heritage Australia is a science-based organisation that helps to protect Australia's biodiversity through ecosystem management and conservation.